MiRXES assays are designed in silico using proprietary 30-parameter thermodynamics based algorithms and are extensively validated using both synthetic miRNAs and RNA from biological samples. Users can select from a growing library of validated human, mouse, rat, and viral miRNA assays. 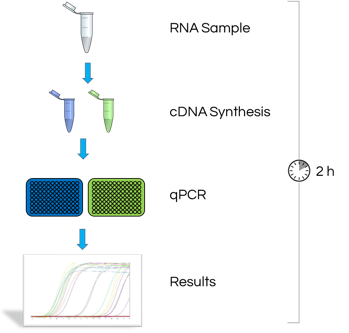 The unique three primer design of the ID3EAL™ miRNA qPCR Assays yields class leading sensitivity compared to other miRNA qPCR detection systems. MiRXES ID3EAL™ miRNA qPCR assays provides highly reproducible results and enables even first time users to generate consistent technical and biological replicates. Increased sensitivity Optimized RT-qPCR primers and reagents to drive efficient target amplification from limiting amounts (≥1pg) of input RNA sample. 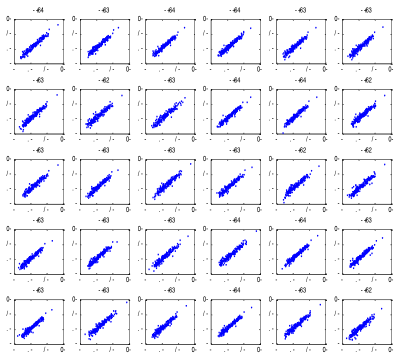 Improved Specificity No universal primers. Every assay utilizes three miRNA specific primers to discriminate single nucleotide differences. Speedy Detection RNA to Ct in less than 2 hours for faster turnaround and improved throughput. Reliable Data Assays optimized by MIRXES’ proprietary algorithm and wet-lab validated with synthetic miRNA templates and RNA from biological samples. Convenience Complete kit to minimize set-up time. Compatible with all major qPCR instruments. Unique RT Primer Conformational restricted miRNA specific RT primer efficiently hybridizes to mature but not precursor form of target miRNA. Specific Real-Time PCR Primers miRNA specific forward and reverse real-time PCR primers confer further specificity and enable robust amplification of amplicon. Tailored RT-qPCR Reagents Optimized RT and qPCR master mixes enhance signal to noise ratio. To address the cluster of researchers who is not convinced on our technology, the ID3EAL miRNA qPCR Starter Kit will cater to their needs. Researchers will be able to select from the pool of validated catalogue ID3EAL miRNA qPCR Assay. Limited to human and mouse miRBase21 assays only. MiRXES ID3EAL miRNA qPCR Starter Kit provides the perfect solution for research groups generating initial microRNA data. It contains all reagents required to perform 20 cDNA reactions and 200 PCR reactions. The MiRXES ID3EAL miRNA qPCR Starter Kit allows user to pick two validated primer sets of choice. MiRXES ID3EAL Individual miRNA qPCR Assay have been optimized to provide accurate, single-plex and multi-plex microRNA detection on most real-time PCR cyclers. Wet-lab validated assays in accordance with the MIQE guidelines. High-performance proprietary qPCR master mix specifically designed for the MiRXES ID3EAL microRNA PCR system. 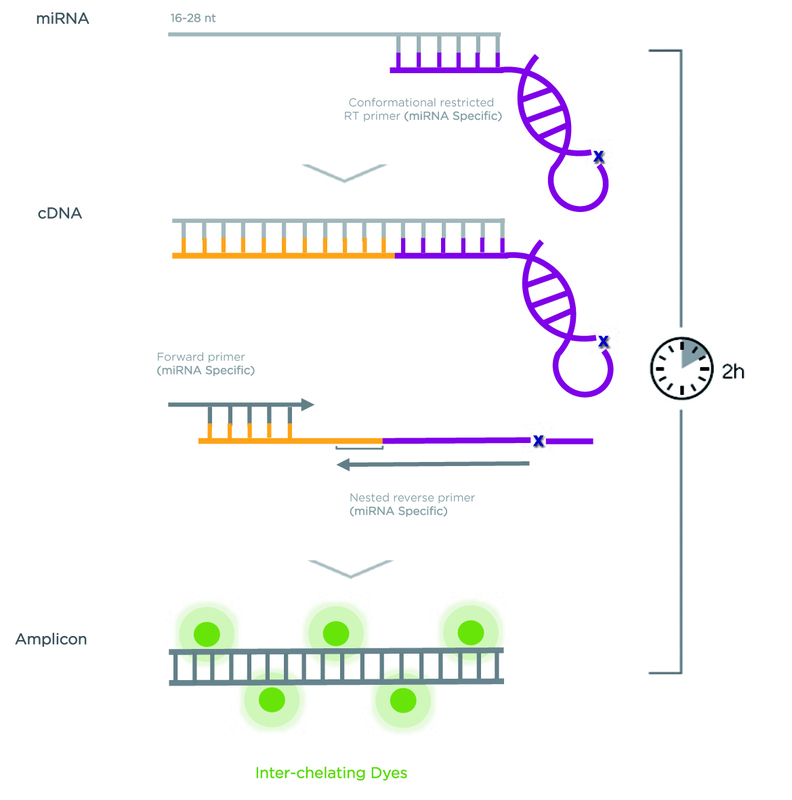 MiRXES’ patented miRNA RT-qPCR technology delivers results from RNA samples in just 2 hours. Order one of our Starter Kits at sales@biovendor.com. It may cover selected species. Ask about other species. The filled assay calculator send at sales@biovendor.com. The combination of miRNA specific RT primer and nested qPCR primer pairs enables assays to efficiently discriminate highly homologous miRNA family members with single nucleotide difference. 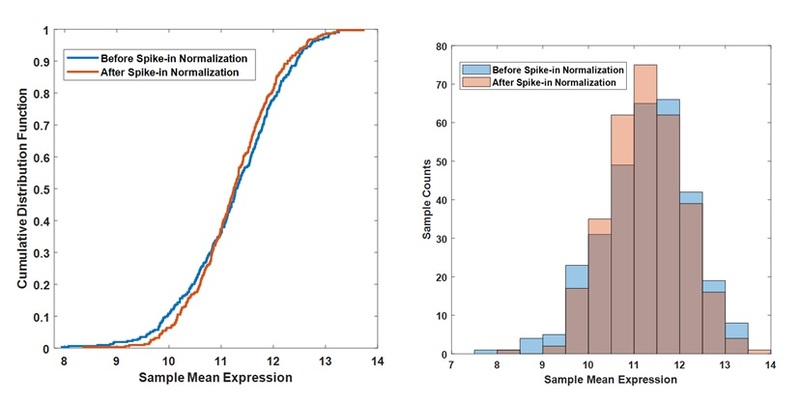 MiRXES ID3EAL™ miRNA qPCR assays yielded highly reproducible results in profiling more than 200 miRNAs from 30 cancer sera over a year in two independent laboratories (R2> 0.95). The ease of use enables even first time users to generate consistent technical and biological replicates. Download assay calculator and after filling send it sales@biovendor.com! MiRXES ID3EAL miRNA Knowledge Panels are ready-to-use assay panels for microRNAs relevant to specific areas of research. Each panel profiles 176 or 352 miRNAs selected through extensive survey of published literature and in-house research data. All miRNA assays have been extensively wet-lab validated using synthetic microRNA templates and human sample RNA. MiRXES offers two knowledge panels for miRNA research in biofluids and cancers. Each kit is formatted to include all necessary reagents for the RNA-to-CT workflow. 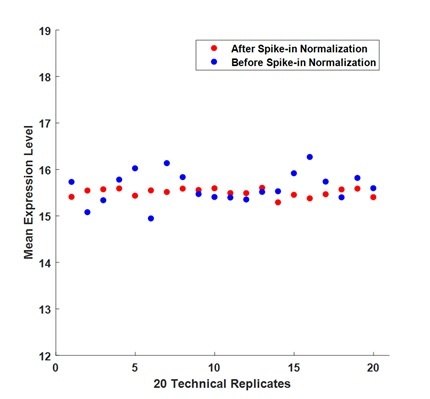 Unique spike-in RNAs and inter-plate calibrators are built in to monitor and normalize technical variations from RNA isolation to qPCR. These kits are compatible with major real-time qPCR platforms and are available in various pack sizes. RNA to Results in 2 hours Using MiRXES’ patented miRNA RT-qPCR technology, the ID3EAL Knowledge Panels can produce results from RNA samples in just 2 hours. Ready-to-Use Kit All reagents, including 2 spike-in RNAs and interplate PCR calibrators are provided proportionally to maximize convenience and user experience. Automated Analysis Template An open Excel template is available for automated analysis. The template includes options for expression normalization, data visualization and data integrity. Ask as for more information at sales@biovendor.com! Uniquely designed small RNAs with sequences distinct from endogenous miRNAs. Use to monitor and normalize experimental variations in sample RNA isolation, reverse transcription and qPCR.